On this issue, nobody can accuse Kevin Rudd of hypocrisy. On the evening before the 2007 Federal election, Rudd told the the ABC's 7.30 Report's Kerry O'Brien that his government would use the massive and costly maximum-security facility, purpose-built by John Howard. Rudd cleverly juxtaposed this on-shore prison against John Howard's off-shore Pacific Solution where everyone was sent to islands such as Nauru. Now, a year later, the horrendous centre suddenly had to be opened. In early December 2008, just before the Immigration Minister Chris Evans was due to retire for his Christmas holidays, there was talk in the immigration department, duly 'leaked' to the media, that "another seventy" arrivals should be expected soon. One wonders how come the Immigration department would know this "people-smuggling information" in advance. Soon after this information became public, just before Christmas, it was announced that the 800-bed Gulag was open for business. None of Australia's reporters questioned how many dozen beds in the other two, more friendly processing facilities on the island, Phosphate Hill and the Construction Camp facility, were still vacant. Immigration also used the argument that the "more experienced asylum seekers", who had already been through the assessment process, would "contaminate" any new arrivals. The old vilifications, that peddles the notion that asylum seekers are tricky and mean and given to constructing lies, are still alive in some circles of the Immigration Department. Yet, less than a week later, on Christmas eve, all 12 passengers of the first boat that had arrived in 2008, and all 14 passengers of the second boat, were told that they were now ready to receive their permanent protection visas. Oh no, those 26 approved refugees could not leave as yet. Their lawyers had to be flown to Christmas Island again from cities such as Melbourne and Sydney - because they had to fill out the visa application forms for and with them. Nobody questioned why those application forms had not been completed in advance, when the legal teams were on the island in September and October, to be filed and only to be used and processed for those asylum claims that would be successful. Completing those visa application forms in advance would have saved the government somewhere between $10,000 and $20,000 in flights to Christmas Island and legal fees going to the lawyers. This page compiles the reactions to the opening of the Christmas Island detention centre, and it includes some pictures of some of the arrivals during 2008. 30 Sep 2008 - No need for your stupid border security spin lines, Minister! 30 March 2008: Labor abandons its 'small' Excision Zone and chooses John Howard's radical version - 'Refugee advocates have accused the Federal Government of abandoning its softer approach to asylum seekers after Immigration Minister Chris Evans said he was yet to decide whether Labor would reassess the status of 4600 islands 'excised' from Australian territory for the purpose of immigration law.' This page follows the debate. Immigration officials have been forced to open the 800-bed, Howard-era detention centre on Christmas Island to accommodate a growing number of unauthorised boat arrivals intercepted in the past three months. Immigration Minister Chris Evans yesterday gave permission for the Immigration Department to use the facility, which has been empty since completion this year. The development followed signs Mr Evans will consider a push by refugee advocates to allow those in mandatory detention access to Australian courts in a bid to improve oversight of the system. The decision to open Christmas Island comes after the arrival on Tuesday of a seventh vessel, intercepted by the Australian Navy 200km northeast of Darwin. It brings to 164 the number of unauthorised boat arrivals intercepted by Australian authorities -- compared with last year's 148. The boat's 37 passengers and crew -- believed to be a mix of Afghans and other Middle Eastern nationals -- will be the first immigration detainees housed at the $400 million facility built by the Howard government. The 37 men are expected to arrive on Christmas Island this weekend. A spokesman for the Immigration Department said they would be held at the North West Point facility for health, identity and security screening. "Accommodation arrangements are determined by the numbers of arrivals as well as the need to separate groups for processing, public health management, gender, culture and other reasons," the spokesman said. "The Government's policy is to open the new facility when numbers and separation arrangements required it." No women, children or families will be housed at the facility, the spokesman said. The decision was condemned by refugee advocacy groups, who predicted the facility would have a damaging effect on the psychological health of detainees. Pamela Curr of the Asylum Seeker Resource Centre said she was very sad the Government had taken this step. "I've seen the detention prison and I know from past experience that places like that make people sick," Ms Curr told The Australian. Yesterday, Senator Evans said the move was consistent with Labor policy. "The Rudd Government's policy is to accommodate small groups of unauthorised boat arrivals in the Phosphate Hill and Construction Camp facilities while they undergo health, security and identity checks," he said. The move comes after Senator Evans told The Australian he envisaged Australia's detention principles "evolving" over time. "There's a bit of a push for judicial review of the decision to detain," he said. "I don't have a closed mind to that, if that makes the system more accountable." Since coming to office last year, the Rudd Government has instituted a raft of changes to Australia's migration policy, as well as boosting the number of migrants. In one of his first acts as minister, Senator Evans shut down the so-called Pacific Solution -- a series of offshore processing centres for unauthorised boat arrivals. In May, the Government abolished the system of temporary-protection visas for refugees -- a move some have said has contributed to the recent spate of unauthorised arrivals, something the Rudd Government denies. The Greens say Immigration Minister Chris Evans should not be opening the Christmas Island detention centre to detain recently arrived asylum seekers. The $400 million, 800-bed detention centre on Christmas Island was built by the Howard Government but left unoccupied until now. Greens Senator Sarah Hanson-Young said the Christmas Island detention centre should never have been built and should not be housing asylum seekers now. "This facility, of monstrous size and cost to taxpayers, is not an appropriate way to accommodate people who have arrived in Australia seeking our assistance," she said. "It has been described even by Government MP Michael Danby as an 'enormous white elephant'. "Minister Evans is making a big mistake in opening up this symbol of the Howard regime's appalling mishandling of asylum seekers." Senator Hanson-Young said asylum seekers should be brought to mainland Australia for prompt processing of their claims, health and security checks. "Offshore processing of claims entrenches an out-of-sight, out-of-mind attitude towards asylum seekers, and the psychological and physical effects of remote high-security detention are now well known," she said. "These people deserve timely attention from officials, and access to community services and support ­ which is made very difficult when they are being detained thousands of kilometres away from the nearest capital city. "Public scrutiny and media access are also important to ensure all practices are in accordance with human rights and dignity of treatment. "The Greens will continue to push for the Government to re-think their offshore claims processing, and instead introduce better practices adopted from overseas, such as promptly carrying out health and security checks in residential housing arrangements on the mainland." "Christmas Island detention centre should never have been built and should not be opened. It is a symbol of everything that was wrong with the refugee policies under the Howard government," said Ian Rintoul, spokesperson for the refugee Action Coalition. "The asylum seekers presently on the island should be brought to the mainland," he said. "In August the Minister Chris Evans said that detention would be a last resort and that the Immigration department would have to show cause why anyone should be kept in detention. The Minister lacks the courage of his own convictions. He has caved into the scaremongering of the Opposition's immigration spokesperson. "He knows that the vast majority of these asylum seekers have valid protection claims yet he is keeping them confined on Christmas Island. Shamefully Christmas Island has become Labor's Nauru. Worse Labor is repeating the discredited arguments that Christmas Island and mandatory detention is about being tough on border protection. It is a human rights abuses. Asylum seekers have never been a threat. They are not a threat now," said Ian Rintoul. "The 90 day deadline for processing asylum applications means that some of the people on Christmas Island should at least be living in the community, if not already have been granted protection visas. No body thought that Chris Evans would be confining processed asylum seekers to Christmas Island. There are no resources to care for the asylum seekers and they are so remote there is no access to community and legal support." "A humanitarian refugee policy demands the closure of Christmas Island detention centre and the end of keeping Christmas Island, Ashmore Reef and other islands excised from the Migration Act. Bring the asylum seekers to the mainland, Minister!" Rights groups are outraged at the Federal Government's decision to open an immigration detention centre on Christmas Island, which they say resembles a prison. The Government has been forced to open the $400 million, 800-bed facility, built by the Howard government but until now unused, after a surge of asylum seekers in recent months. A group of 37 men, intercepted on Tuesday about 200km from Darwin, will be the first to be processed at the remote North West Point facility. Human Rights Commissioner Graeme Innes said he was disappointed with the Government's decision. "It's bleak, it's forbidding, it's a long way from the rest of the community on Christmas Island and it's a very unwelcoming place," he told the ABC. "I think that's a very inappropriate way to treat people who, whilst not obeying all of the rules of Australia, have come from very traumatic and difficult situations in countries overseas." The Australian Greens responded angrily, saying the centre should never have been built. "Offshore processing of claims entrenches an out-of-sight, out-of-mind attitude towards asylum seekers, and the psychological and physical effects of remote high-security detention are now well known," Greens Senator Sarah Hanson-Young said. But Opposition immigration spokeswoman Sharman Stone said the facility was "state-of-the-art" and it was commonsense to use it. "It should have been done quite some time ago," Dr Stone said. "You've had people being detained in totally unsuitable environments, for example in the construction camp, and seemingly because the Government was continuing to deny that we had a problem, that we're receiving these arrivals." Pamela Curr from the Asylum Centre Resource Centre said the facility was an "appalling place". "It is a high-security prison of a level that we do not even use for people convicted by our courts in Australia." Refugee Action Coalition spokesman Ian Rintoul said the facility symbolised all that was wrong with the Howard government's policies, and said all asylum seekers should be brought to the mainland. There are 135 unauthorised boat arrivals already on Christmas Island - the majority of them single adult males - from six boats detected since September. Of those, 28 people are in housing or community-style facilities. The others are in the older Phosphate Hill detention centre and construction camp facilities. Government MP Michael Danby, the head of a parliamentary delegation that visited the centre this year, said it resembled a stalag and was a "grandiose" waste of public money. "It looks like an enormous white elephant," he said at the time. But the Immigration Department will today announce the latest boatload of 37 suspected asylum seekers, intercepted 200 kilometres north-east of Darwin on Tuesday, will be housed in the new centre. 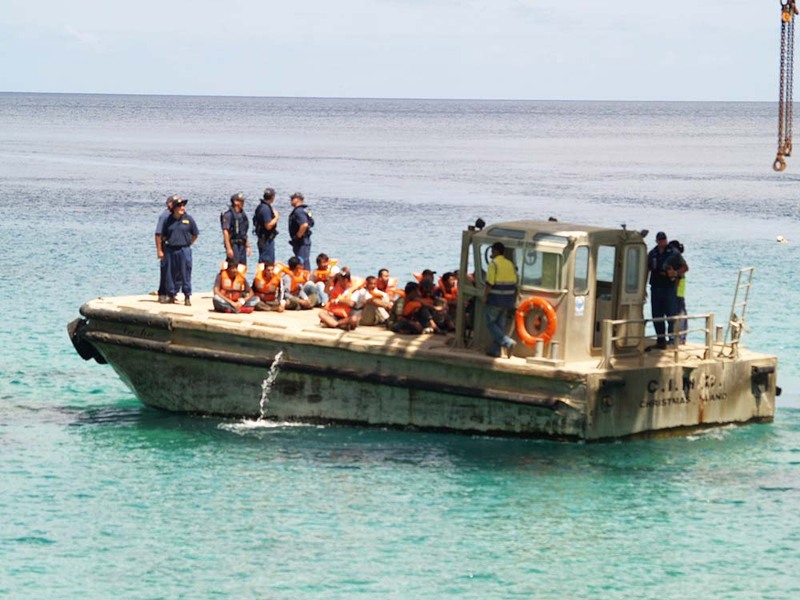 The 37 men are expected to arrive at Christmas Island over the weekend. There are already 135 Afghan, Iranian and Sri Lankan asylum seekers on the island, but they live in a construction camp, the old detention centre at Phosphate Hill, or in the community. Seven boats have been intercepted in the past three months, with 164 suspected asylum seekers caught trying to enter Australia this year, up from 148 last year. The Rudd Government has come under intense pressure over its border protection scheme, with the Opposition claiming the scrapping of temporary protection visas has made Australia a "soft target" for people smugglers. The Age understands the Government was extremely reluctant to open the centre, because it sends a message it is losing the battle against people smugglers and validates the Howard Government's decision to build it. Asked at a Senate committee hearing in May how many people it would take before it was opened, Senator Evans said: "It depends on what other options you have." In October he said the "common view" was that the construction camp, which had a range of communal facilities and "a bit more of a commu- nity feel", was a "better alternative". In a statement to be released today, the Immigration Department says: "The Government's policy is to open the new facility when numbers and separation arrangements required it." But it says no women, children, or families will live in the new centre, consistent with the Government's policy, which prohibits children from being locked up in detention. It costs taxpayers $32 million a year to accommodate up to 30 detainees at the new centre. In August, refugee advocates who toured the new centre said it was "extremely harsh" with a "high-security, prison-like character". Amnesty International and seven other groups wrote to Senator Evans at the time, saying "the very expensive security systems of the facility are quite unnecessary". "The damage that has been done to people's mental and physical health by detaining them in remote, high-security detention centres such as this has been documented repeatedly," they said. Faster processing of asylum seekers, rather than opening the prison-like $396 million detention centre on Christmas Island, is the answer to the detention-housing shortage there, refugee advocates say. The continuing detention of asylum seekers on Christmas Island and the decision to open the Howard-era centre raised "fundamental concerns" about the Federal Government's commitment to its "detention as a last resort" policy, said David Manne, of the Refugee and Immigration Legal Centre. Eleven weeks after being taken into custody, the first group of seven unauthorised boat arrivals is still in detention on Christmas Island. Mr Manne said the policy, set out by the Immigration Minister, Chris Evans, in July, was supposed to make detention a final, not first, option - for health, identity and security checks to establish if they posed a risk to the community. "There is a danger this Government is swapping a 'Pacific solution' for an 'Indian Ocean solution'," said Mr Manne, who is representing 10 Afghan asylum seekers on the third boat, which was intercepted on November 19. "It's a complete mystery why those who arrived by boat remain in detention." 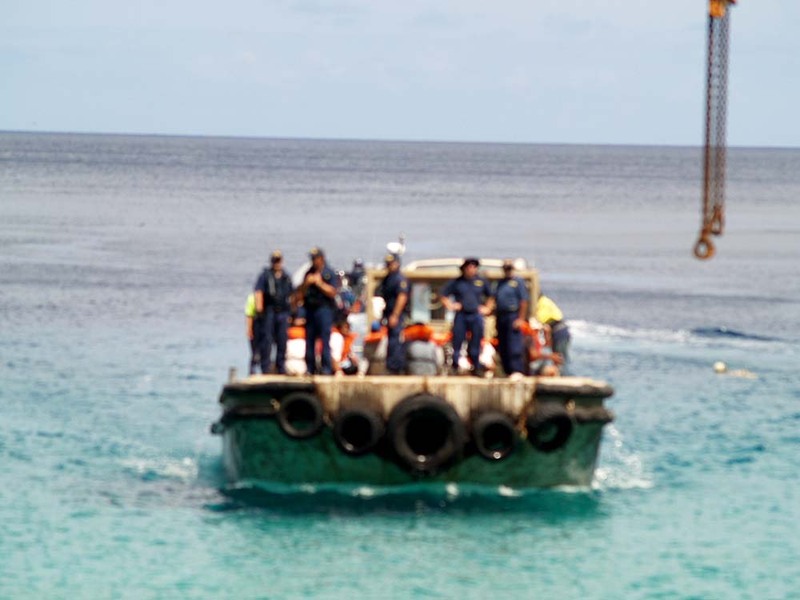 The first of this year's boats carrying asylum seekers was intercepted near Ashmore Island on September 29 and arrived at Christmas Island on October 2, 11 weeks ago. Since then, another six boats have arrived, bringing to 160 the number of asylum seekers to be detained on Christmas Island. Mr Manne said: "My understanding is they have undergone these checks; the policy puts the onus on the Government to say why they should be detained. Why are these people still being detained?" Susan Meyer, co-ordinator of the Refugee Advice and Casework Service, which is helping asylum seekers from the first two boats, agreed with Mr Manne. "Eleven weeks is too long. I don't know why they are not releasing the people who have been processed." 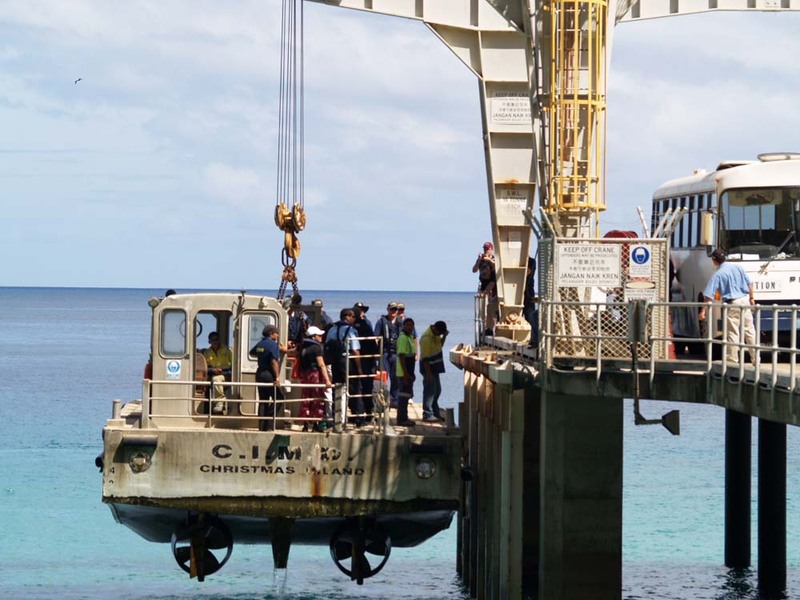 Senator Evans said the Government had made it clear that all unauthorised boat arrivals would be detained and processed at Christmas Island while health, identity and security checks were undertaken. "While health assessments are usually completed within a week, security and identity checks can take time." Senator Evans said the 14 people from two boats that arrived in late September and early October would shortly be released from detention to live in the community while their asylum claims were processed. The Human Rights Commissioner, Graeme Innes, said it was valid to hold people in detention for initial checks, but in most cases that should take a couple of weeks. Two months was "above the reasonable period". He supported the Government's "detention as a last resort" policy but said "let's see it in practice". The Federal Government moved too slowly to assess the refugee claims of 26 boat people on Christmas Island who appear certain to be resettled on the mainland, a human rights group says. 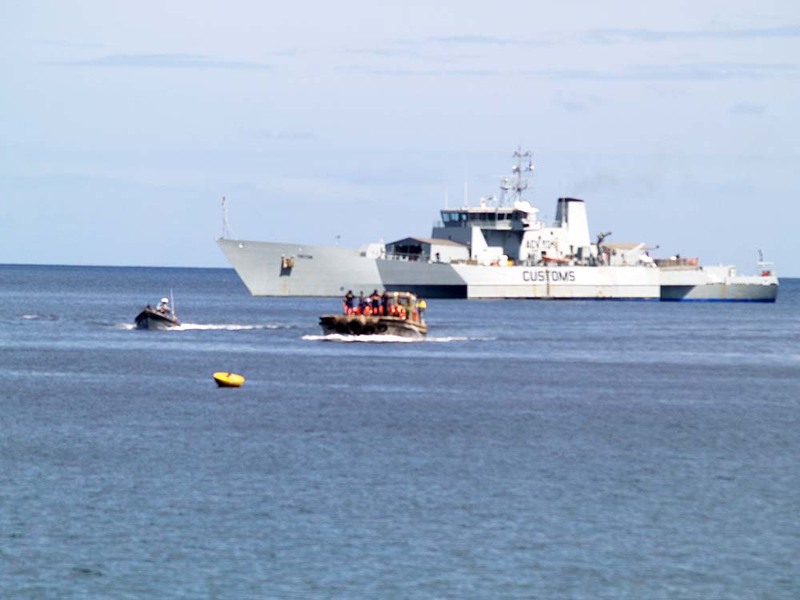 A spokesman for Immigration Minister Chris Evans confirmed yesterday 26 people aboard the first two of seven unauthorised boat arrivals since September had been allowed to apply for permanent protection visas. The Afghani, Iraqi and Iranian asylum-seekers are expected to make their applications for the protection visas next week, and will remain on Christmas Island until the applications are processed. About 150 asylum-seekers have been taken to Christmas Island in the latest influx since the first boatload arrived on September 30. 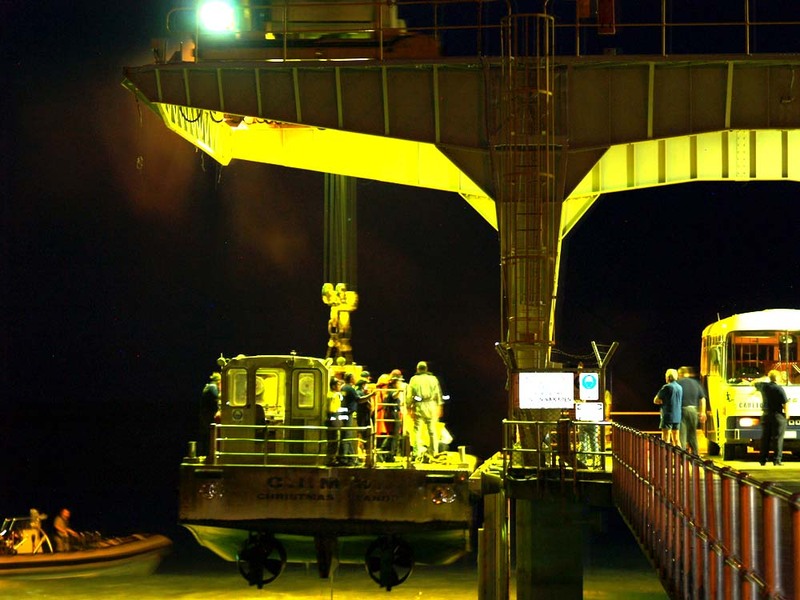 All 12 passengers aboard that boat and the 14 who were aboard the second arrival on October 14 have been allowed to apply for the permanent protection visas. Crew members who were aboard the boats have been charged with people smuggling. An Immigration spokesman said the department would seek to decide the claims of the arrivals "as soon as possible" and within its 90-day target for completing such assessments. The spokesman would not comment on claims by Project SafeCom coordinator Jack Smit that the decision to process the boat people's claims effectively meant they would fly to the mainland and join the Australian community as permanent residents by January 11. Mr Smit said the decision "means the assessment is complete and it also means the claims of 100 per cent of the arrivals on the first two boats were found to be genuine". But he said the process had still taken too long and they would now have to wait until January 5 before lawyers' representatives could fly to Christmas Island to deal with their claims. While the Labor Government's abolition of the former Howard government's temporary protection visa system had allowed the speedier processing of people for permanent residency, the Immigration Department should demonstrate more urgency in arriving at decisions, Mr Smit said. The Federal Government should resist any urge to show its policies on unauthorised arrivals were deterring people smugglers and a new influx of boat people. "In Holland, these same people would have had an initial assessment within two days and then immediately been given a bridging visa to live in the community and find work," he said. Refugee advocate Marion Le said she was appalled at the time being taken to process the boat people's applications. "There is no doubt they could have arrived at this stage of the process within a couple of weeks," Ms Le said. "Apart from the mental torment these people have to go through, look at what it's costing you and me, the Australian taxpayer. "The immigration department would have known within two days whether these people had valid claims, but instead it just gives us more of its doublespeak. "If they think a policy of delays will deter more arrivals, they should think again. Most refugees have already been through years of suffering." The Federal Government denies Australia is becoming a bigger target for illegal boat people, despite six boats making it into Australian waters in recent months. A boat carrying 37 asylum seekers of unknown nationality was intercepted by the navy yesterday about 110 nautical miles north-east of Darwin. Immigration Minister Chris Evans admitted a number of boat people had arrived in Australia's waters recently. "That's partly due to the season, but partly due to the fact there has been some new tactics deployed," Senator Evans said. Senator Evans insisted the Government was "actively" trying to combat people smuggling. "We have seen a number in recent months, but the arrivals are about the same as last year and there's no large increase in numbers, but we have seen a spate of arrivals in a short period of time. The Government is concerned about that and we are doing everything we can to deter people smuggling and we will certainly be prosecuting people with the full force of the law for people smuggling activities." Senator Evans denied Australia had become a bigger target. "If you look at Italy, they've had 30,000 arrivals this year, I think Greece has had 15,000, we've had 150 people, so we've got to put that in perspective. "Australia is a highly desirable location and people smugglers can make a lot of money, so that pressure is on." The Government was working strongly with Indonesia to stop people leaving on boats, Senator Evans said. "Indonesia is faced at the moment with an influx of particularly Afghan refugees, as the situation in Afghanistan worsens, so there is pressure on Asia and we're seeing more people smuggling activity." He said most of the asylum seekers were coming from Iraq, Afghanistan and Sri Lanka, as people tried to flee violence in those countries. The Indonesian Government has recently extradited a well-known people smuggler to Australia, as well as capturing another person believed to be responsible for some of the recent arrivals. Human rights group Project SafeCom said it was likely more boat people would try to make it into Australia in the coming summer months. It maintains the Government's treatment of asylum seekers on the Christmas Island detention centre remains unfair. They stand there still, those former penal colonies of Port Arthur or Devil's Island. They serve as memorials, and as harsh reminders of times when incarceration was synonymous with exile and when the most suitable treatment involved humility without humanity. Such places -- colonial outposts of terrible desolation rather than splendid isolation -- were not only geographically far removed from their mother countries, but also distant from conventional law and order. For the English and French governments of the day, out of sight was also, to all practical purposes, out of mind. Is there that much difference, therefore, between these insular prison systems of old, which punished lawbreakers, to the offshore processing centres instigated by the former Howard government as part of its so-called Pacific Solution? This was applied to illegal immigrants, many of whom committed no crime but who fled criminal regimes in search of a better, more just world. Instead, Australia's then immigration policy -- exercised via offshore detention centres such as Nauru, and at other places such as Baxter and Villawood -- wrought a profoundly adverse impact on detainees, as well as besmirching this country's human-rights reputation. Since the Rudd Government came to power, it has made several important policy changes that, while not overturning mandatory detention, at least made it less punitive, as well as shifting the premise from adversarial to more humanitarian grounds. The Government has also abolished temporary protection visas, eased mandatory detention, and shut down the processing centres on Nauru and Manus Island. At the same time, however, the Government has been careful to avoid justification of Opposition claims of going soft on its immigration policy. For example, the Government has retained the excision of Christmas Island from Australia's migration zones -- a contentious move made by the Howard government in 2001, after the Tampa incident, designed to prevent legal obligations to process asylum seekers landing there or on the thousands of other islands ultimately covered by the excision. Of all these dots in the ocean, however, just one, Christmas Island, remains a blight on this country's immigration record. This 135 square kilometres of limestone, 2000 kilometres off the coast of Perth, has been called, not without good reason, by Greens senator Kerry Nettle, "a sad relic of the Howard era of cruelty towards asylum seekers at any expense to taxpayers". So what to make of last Friday's announcement by the Government that it is to open the island's $400 million detention centre to house the latest boatload of 37 suspected asylum seekers, intercepted last week by border-protection authorities north-east of Darwin, and which arrived at the island at the weekend? The Government's apparent reluctance to open the centre is understandable -- especially since the 800-bed facility has previously been criticised by Senator Chris Evans as unsuitable for children and families (it is now government policy to house only men, not their wives and children, in detention centres), and, indeed, reinforced by Labor MP Michael Danby, who led a parliamentary delegation to the centre this year and described it as a "grandiose" waste of public money. The 135 suspected asylum seekers already on the island are in other accommodation, but the annual cost of keeping up to 30 men in the centre has been estimated to be as much as $32 million a year. Worse -- far worse -- than any economic cost is the fundamental cost to human rights and dignity imposed by confinement in a centre described by refugee advocates as "extremely harsh" and with a "high-security, prison-like character", and thousands of kilometres from the nearest landfall. This also means thousands of kilometres from access to the resources of Australian law and proper processes of review and assistance -- the basic rights that should be afforded to all who endeavour to seek them. As long as the excision laws remain in place, places such as Christmas Island will continue to be holding pens for those who, in all probability, deserve greater compassion, understanding and swift resolution. What also remains is the stigma associated with the arm's-length effect -- that in keeping illegal immigrants as far offshore as possible, the Government is somehow absolving itself from having to take more direct action. This perception, while alleviated by the Government's welcome changes in immigration policy, will be difficult to shift without further positive change. Opening Christmas Island's detention centre is a negative move. For humanity's sake, the Government should at the very least house the men elsewhere on the island. The Federal Government's decision to use the $400 million detention camp on Christmas Island, built by the Coalition, is sparking fresh debate about the mandatory imprisonment of asylum-seekers. Unauthorised arrivals, aka boat people, aka queue jumpers, have been routinely locked up since the days of the former Labor government. The Howard government decided to go much further with its policy of deterrence after it detected community angst about the boats from Indonesia. John Howard made border protection a strong election theme under his mantra that "We will decide" who was going to come to Australia. His Pacific solution redirected asylum-seekers to Nauru, preventing them from landing on Australian territory and lodging claims for asylum. The Rudd Government made significant changes to border protection policy but was determined to be seen as "tough on boat people" before both domestic and international audiences. The incoming Government ended the Pacific solution by closing the Nauru camp; scrapped temporary protection visas which had kept asylum-seekers in limbo; and released women and children from detention camps. It continued to embrace mandatory detention to deter refugees from risking their lives. But the change has not run as smoothly as Immigration Minister Chris Evans wanted. The boats are arriving again. Is that due to his policy changes or is it simply the annual "season"? Before the weekend, there were already 135 asylum-seekers on Christmas Island, most of them single, adult males from the boats that have arrived since September. They are housed at an older detention camp, a construction camp and in community facilities. Although the Labor Government has been sending unauthorised arrivals to Christmas Island, it has eschewed the 800-bed North West Point camp, purpose-built by the Howard government. Government MP Michael Danby, who led a parliamentary delegation to inspect the camp this year, described it as a stalag, a waste of money and an enormous white elephant. Accordingly, the camp had not been used until a few days ago when the Labor Government performed an embarrassing somersault (with pike). Evans decided last Friday that the camp would finally be opened because of the arrival of another boat near Darwin. The 37 males from the vessel will be housed in the camp but no women and children will live there, consistent with Government policy. Does opening the camp send the message that the Government is losing the battle against people smugglers and therefore validates the Howard government's decision to build the expensive compound? The Opposition has complained that dumping temporary protection visas gives an incentive for boat people to head to Australia with the belief they might have a better chance of being allowed to stay that is, that Australia is now seen as a "soft target" for people smugglers. Seven boats have been stopped in the past three months, carrying 164 suspected asylum-seekers, compared with 148 last year. It is too early to say whether the changes in policy are sending the wrong signal overseas but the influx of boat people must serve as a warning. Australia's reputation is at stake on two counts. With damage from the "children overboard" incident still fresh, we must treat asylum-seekers humanely. The policy changes are to be applauded, particularly the ban on women and children being held in detention camps and the speedier processing of asylum claims. But is locking traumatised people in a remote, high-security camp acceptable? Also, the Government must be vigilant that Australia does not become a "soft target" and must be prepared to reconsider its policy as circumstances change.